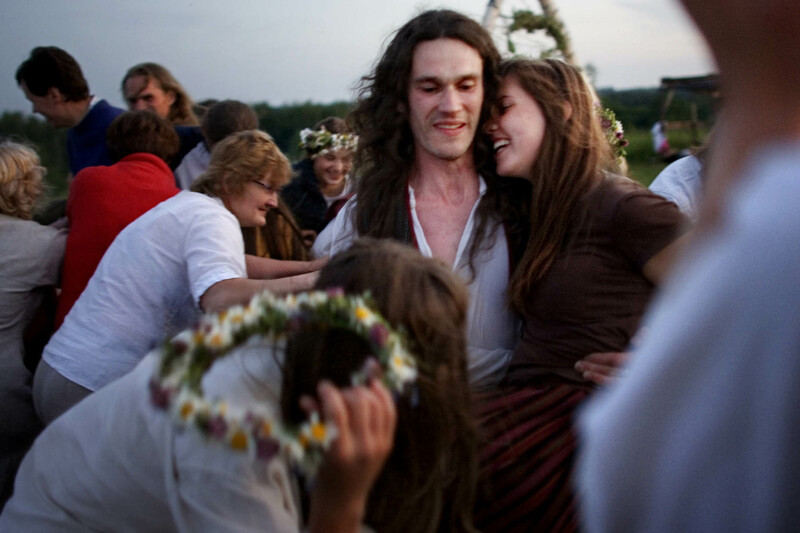 LATVIA, PILTINKALNS 21.06.2006 PHOTO: ESPEN RASMUSSEN The night between the 21st and 22nd of June, the pople of Latvia is celebrating the shortest night of the year, the midsummer. This night, they are turning away from Christianity and worships the pagans Gods. During the night, the crowd sings and dances, both to follow old traditions but also to keep themselves awake. Some will also find love during this short night.